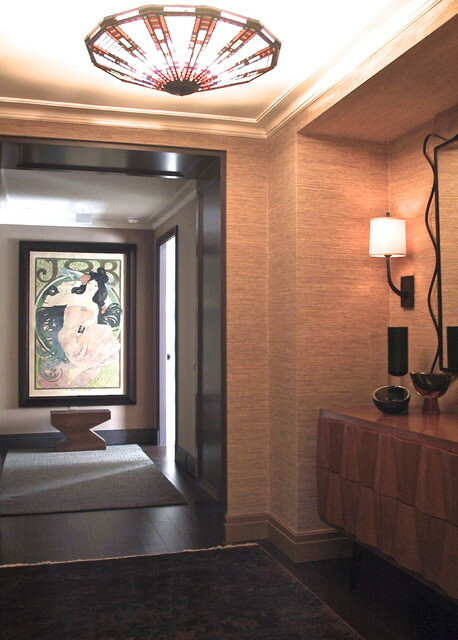 Grass wall covering contrasts the lacquered paneling. Iron and bronze coexists with vintage, Italian glass collection. And yet another Karl Barry lamp.